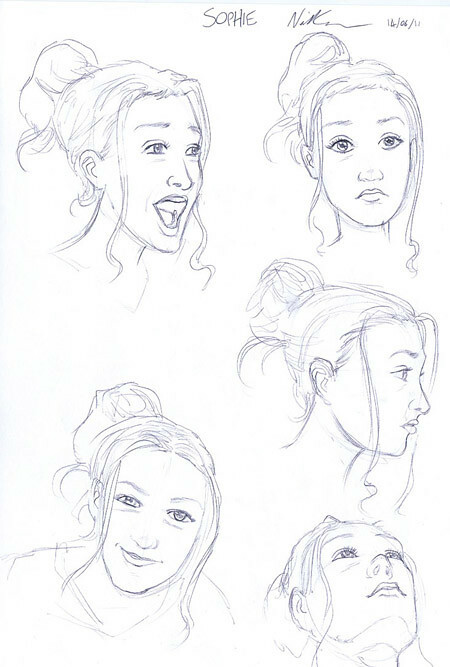 Here is the second in a regular series where I'll be offering a peek into my sketchbook at my designs for the stars of The Pirates of Pangaea (appearing weekly in The Phoenix, go subscribe kids! It is I-ain't-even-foolin' GREAT). 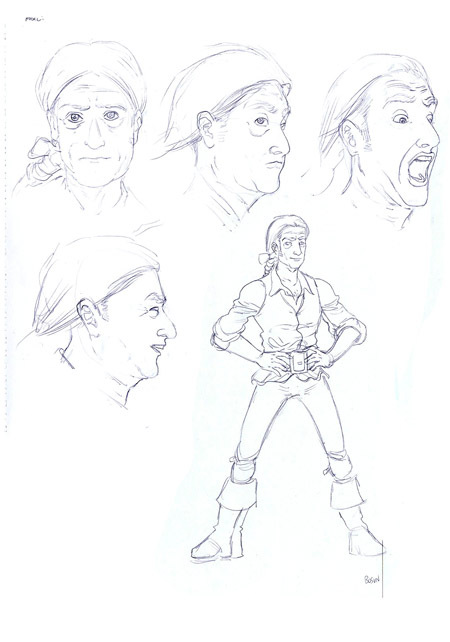 This week we are saying a big Pangaean hello to Bosun William, or Master Bosun, or simply The Bosun to his friends. Rugged, stoical and heroic, he is Sophie's only protector amidst the dinosaur and pirate-infested scarinessfest that is Pangaea. So rugged, stoical and heroic in fact that he can wear a ponytail with a bow on it and still appear rugged, stoical and heroic. 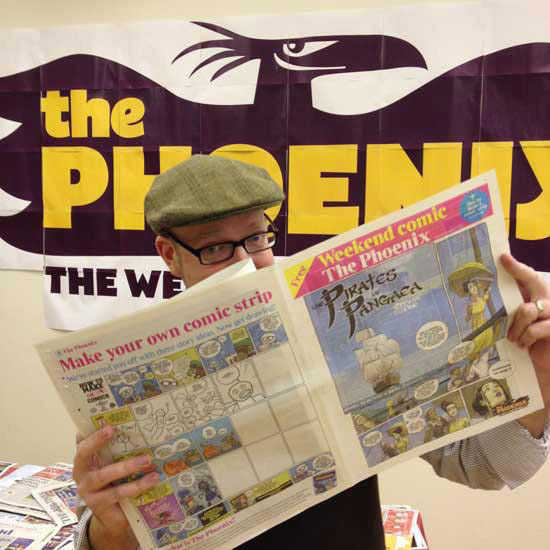 This weekend saw the launch of the first issue of brand new weekly comic The Phoenix! Which, uh, I may have mentioned already. 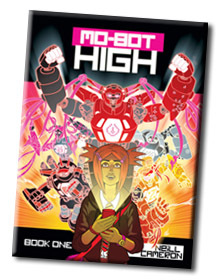 The above is an early / alternate version of the issue one cover - in the end, we decided that it looked a little too 'apocalyptic' and went for the blue-sky background used on the final cover. I thought I'd post it here, not least so you can see the nice pterodactyls I went to all the trouble of drawing even though I knew perfectly well they'd be covered up by the (admittedly lovely) logo. 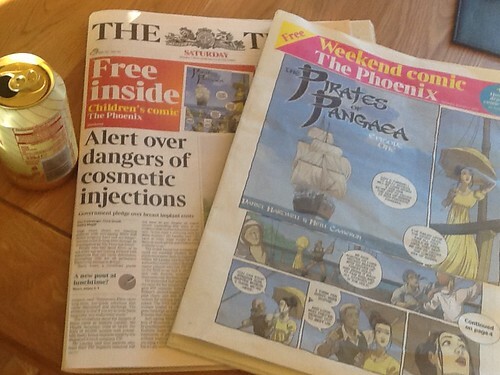 Anyway, Saturday was a preposterously lovely day from start to finish, beginning with the fact that I got to stroll up the corner shop and see my work featured on the cover of a well-known national newspaper. AND have ginger beer, too. Saturday was also, of course, the day of the launch party itself - a brilliant and hugely fun event held at the super-exciting new Story Museum in Oxford. (Can't wait for that place to open properly, it sounds like they've got such exciting things planned for it). I had a really lovely time and caught up with so many comics-creatin' (and comics-readin') friends old and new, that I couldn't remotely hope to cover it all here. M'colleague Sarah McIntyre posted lots of great photos and a write-up of the day over on her blog, so why not go read that and feel just like you were there? But without cake. 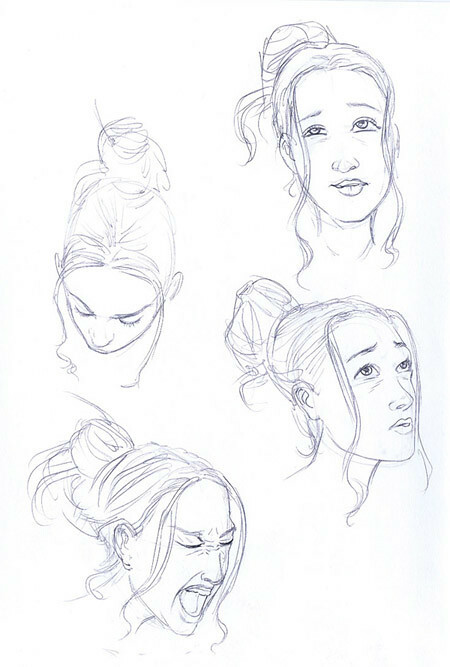 like the last 2 or 3 years that I actually quite like. 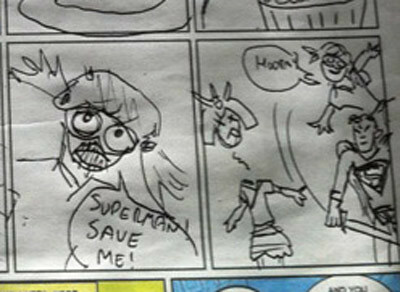 If you haven't seen a copy of the Phoenix yet, you can read the preview Issue Zero IN FULL and FOR FREE over on the Phoenix website! And then go subscribe. 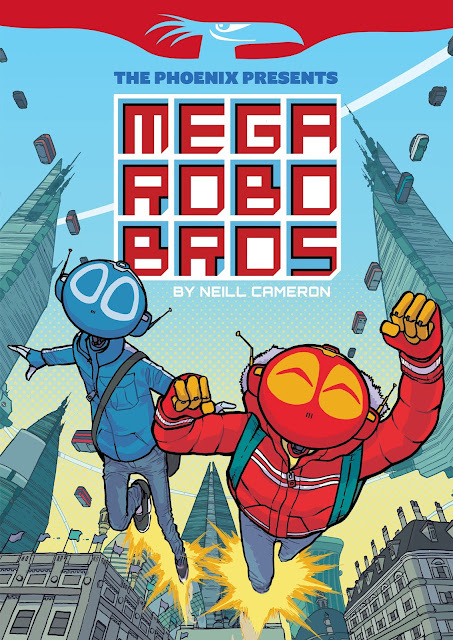 C'mon, you can get five weeks' worth of awesome comics for a tenner. A TENNER. Give it a whirl! I'm snatching a 5-minute-break from drawing rigging (OH MY GOD THE RIGGING) to wish you all a Happy Phoenixday Eve! 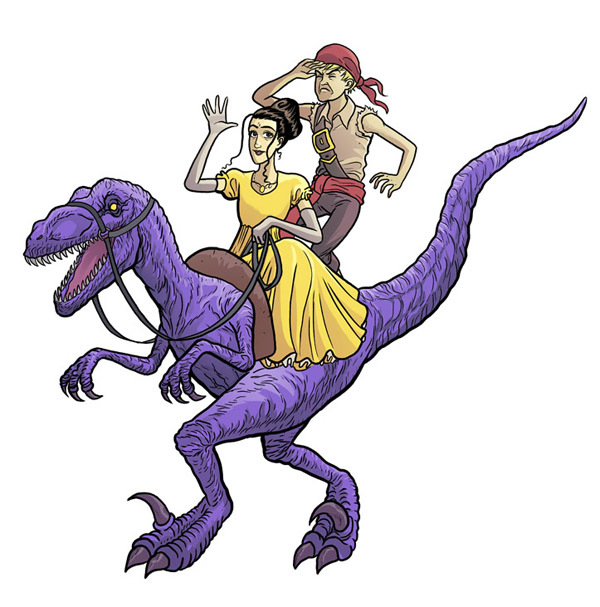 Yes, tomorrow is Official Launch Day for the brand new weekly comic featuring pirates and dinosaurs and bunnies and monkeys and space aliens and robots and, oh, ALL KINDS OF GOOD THINGS. There's still time to subscribe in order to get the first issue, so head to the Phoenix website for a bunch of tasty subscription options, or you can pick up a copy from Waitroses nationwide and select independent children's bookshops. 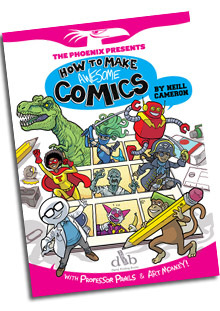 (Full details of where you can buy it coming soon to the Phoenix website! One would imagine.) But seriously, go subscribe. 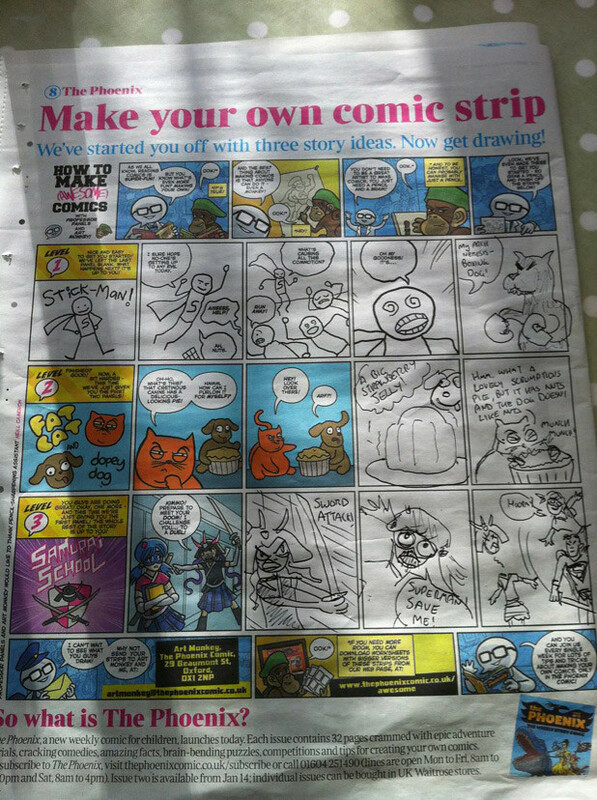 ALSO: just announced is that you may wish to pick up a copy of The Times newspaper tomorrow, for a free 8-page Phoenix pull-out featuring, oh heck, all kinds of fun stuff - not least a special BONUS How To Make (Awesome) Comics strip! The Times is available, uh, pretty much everywhere. In shops and stuff? 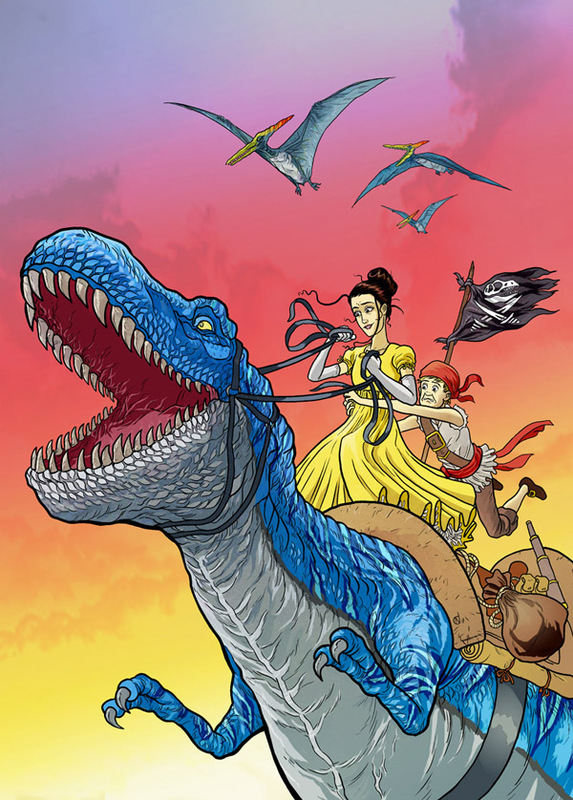 Join me next week for the start of a regular series of blog posts featuring behind the scenes peeks at pirates and dinsoaurs AND helpful annotations for Professor Panels' illustrated lectures. Uh, if I get all this rigging finished.